← Reducing Stress When Fishing Catch and Release? What’s Too Much Fishing Help? Question: When my kids were learning how to fish, I would often cast the rod and set the hook for them but then allow them to fight the fish and bring it in. My question is, in the DFG’s eyes, how much “help” is too much when you’re fishing with another angler? I can see how some dads might let this get out of hand by using their kids as an excuse to fish four or more rods (and to take home extra limits) when actually they are the only one doing the fishing. Answer: We always encourage parents to teach their kids to fish, but what we often see are parents doing all of the fishing while their kids are preoccupied and playing in the background. You are allowed to help your child, but given the scenario you mentioned above, if a game warden believes that you are the one doing the fishing, you may be cited. You can help your kids with the casting and all fishing activity, as long as your child is actively involved with the activity. They must be holding the rod and learning how to cast and reel. The child also must be closely attending the line. Just having a child in the area does not entitle any adult to fish without a license. 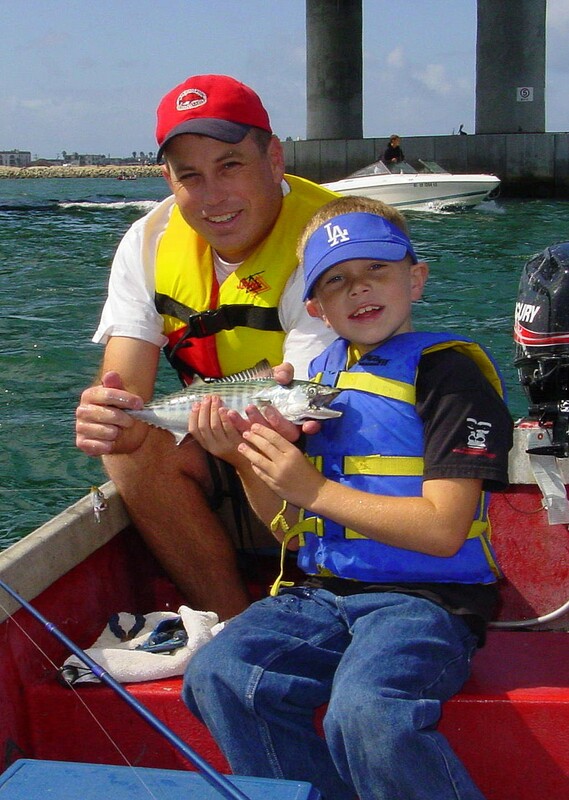 Anglers under 16 are not required to purchase a California sport fishing license and are allowed to fish with two rods in inland waters without the stamp, as long as they are fishing in an area where it is legal to use two rods. Is a steelhead report card required when fishing in steelhead waters? Answer: If a stream is open during steelhead season, then anyone fishing must have a steelhead card in possession. Incidental take of other species, like striped bass, is allowed. Can you have a loaded gun in a vehicle on a private road? Is it legal to sell sport-caught fish? Answer: No. Fish caught under the authority of a sport fishing license cannot be bought, sold, traded or bartered in any manner (FGC Section 7121). If you have knowledge that an illegal activity is going on, I encourage you to contact our CalTIP line at 888-334-2258 to report it. You should provide as much information as you can that will help law enforcement in its investigation, such as locations, names, descriptions of the people, vehicle information, the time of day, where the violations are occurring, etc. Your report will be confidential and you may be eligible for a reward of up to a $500 if your tips result in convictions for the crime. This entry was posted in Buy/Trade/Sell/Gift, Firearms/Ammunition, Fishing, Licensing/Permits/Stamps/Report Cards, Lines/Rods/Equipment, Private Land, Recreation, Roadways and tagged firearms, fishing, Licenses. Bookmark the permalink.